We are in the midst of a real winter here in Utah, and as much as it hampers any efforts to ride bikes, I am enjoying it. I have always liked the stark contrast of four distinct seasons. Growing up in Vermont it sometimes seemed like we would skip spring, and here in Utah the past couple years it seems like we have skipped winter. To me Christmas isn't quite the same without snow on the ground, and Mother Nature came through on December 24, dumping a good amount of snow in the city and covering up our brown lawns. Sammi and I made the most of the White Christmas and went on an early morning cross-country ski before going over to her parents' house for presents and breakfast. 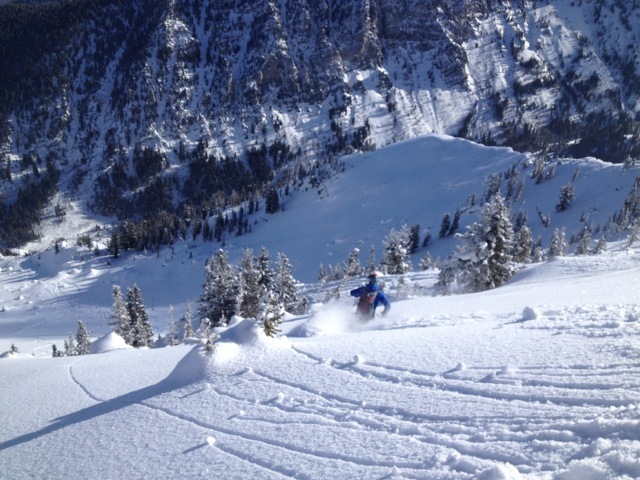 Then we went to Solitude for a few runs at the resort in the afternoon. That snow still hasn't melted, and has actually been consistently added to. In my fifteen years in Salt Lake, I am not sure if I remember seeing this much snow on the ground for such a long time in the city. For a while there I thought I could start to count shoveling snow as cross training. As for real training, I did some good backcountry ski tours around the holidays, a great way to have some fun while building an aerobic base. To me that it like riding singletrack. You can call it “training” but it's really just a darn good time. 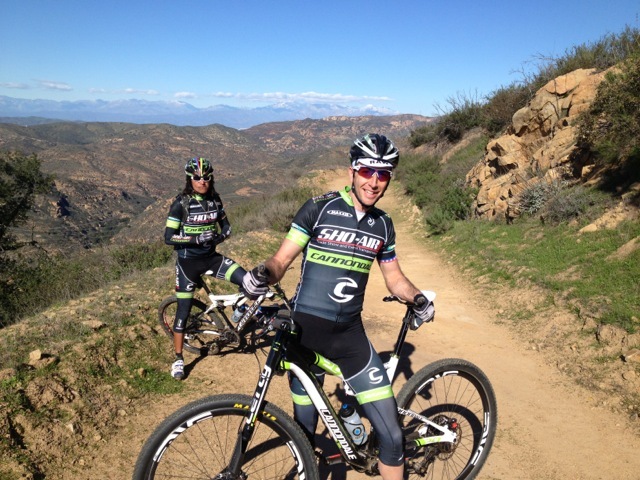 A week or so in to the New Year, I headed down to California for Sho-Air/Cannondale team camp. It was great to get together to train and hang out with the whole team. We got some great riding in, and I logged almost 30 hours in eight days of riding. That's a big block of riding and I know it's going to pay off this season. I have never done that kind of volume on the bike in January, and am curious to see how it treats me. I was encouraged to see that by the end of the week I felt stronger than the beginning, despite the heavy training load. I always appreciate clouds and fog in the desert, where sunshine is the norm. This winter I have been working with a coach for the first time in my career as well. Through Sho-Air's partnership with CTS I am working with Adam Pullford, and it has been great for me so far. I have always just trained by feel and used my own experience to determine what works for me and what does not. That has been fine thus far, but I did sometimes wonder if I was training appropriately. There would be days where I would think, for example, “OK, La Ruta is in three weeks. I know I need to train hard, but what should I do?” Having a more structured plan is nice, as well as having a sounding board for some training questions I have always had. I feel like I learn more and more every year, and working with Adam has added to that exponentially. Moving from one season to the next I have always tried to make small, sustainable, and consistent gains. 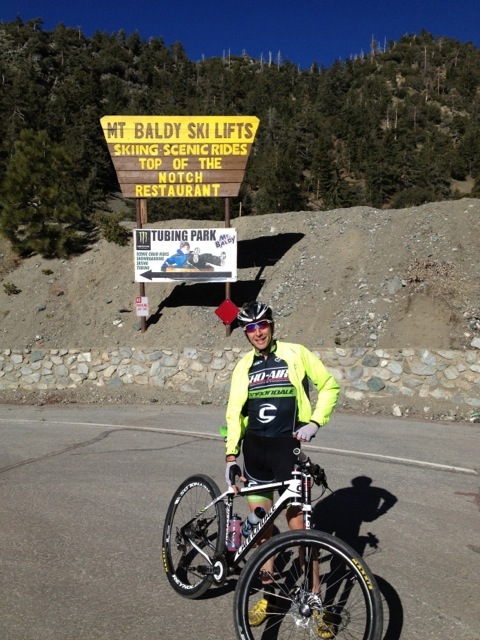 I think a little outside training advice and guidance will be what I need to keep that trend going and make 2013 my best year yet. 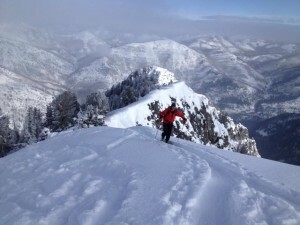 Riding near Santa Clara, UT. with some of the Gear Rush crew. This season is going to kick off a little sooner than normal with 24 Hours of Old Pueblo in mid-February. 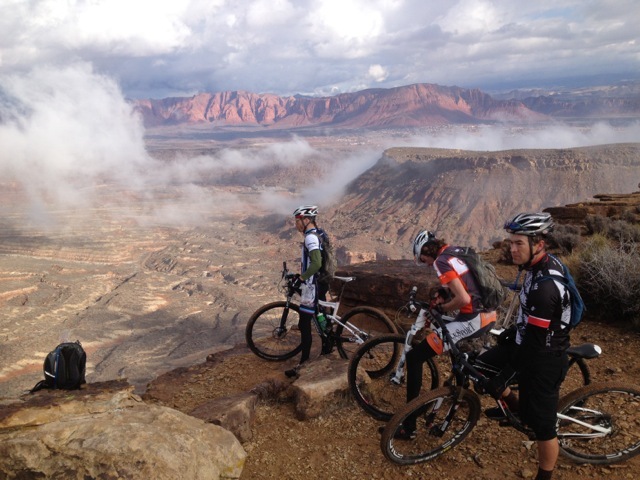 I am racing a 4-person team with Eric Bostrom and two editors from Mountain Bike Action. I have always wanted to check out that event, and can't wait to get down to ride in the Arizona desert! Alex Grant is a professional mountain bike racer for Sho-Air/Cannondale Race Team. He lives in Salt Lake City and operates GearRush. com, a sports consignment store. 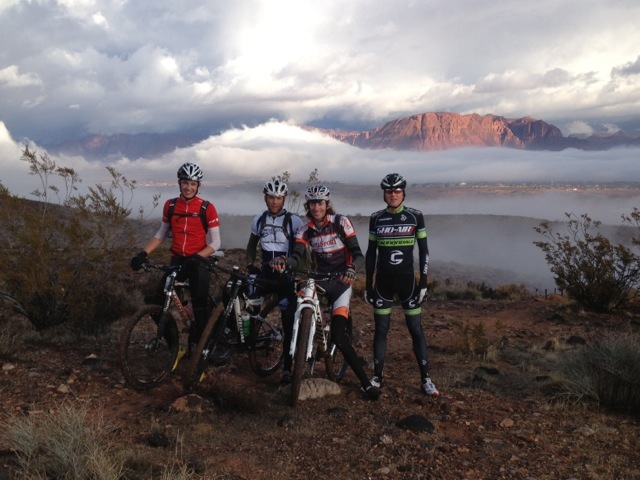 We got in some great training rides at team camp.